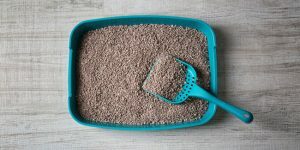 View our list of the best litter boxes, find out how to identify the right litter box for your cat, and choose one that can keep your cat happy, your home clean, and your litter box cleaning schedule less demanding. 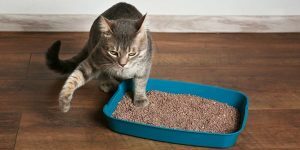 Are Self-Cleaning Litter Boxes Worth The Money? 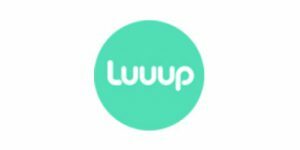 Luuup litter box boasts a unique 3-tray sifting system that lets you forget about scooping, clean the litter box more easily and quickly, and even save in litter. 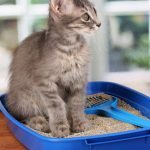 In this Luuup review, we explore how this popular litter box works, whether it is suitable for all cats, and most importantly, whether it lives up to cat guardians’ high expectations. In this Litter Robot review, we provide answers to virtually all questions you may have about this automatic litter box. 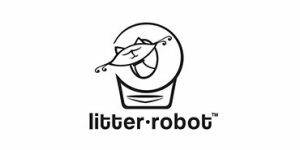 From its design and numerous handy features to training tips, customer feedback, and pricing, we bring you all the facts you need to decide whether Litter Robot is right for your cat(s). 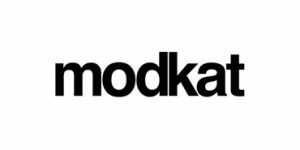 Modkat is a well-known top-entry litter box designed and manufactured by ModProducts LLC. It sports a modern and chic design, sturdy, utilitarian construction with very few moving parts, and excellent measures against litter tracking, unpleasant odors, and urine leaks. Read all about it in our comprehensive Modkat Litter Box review. How Do Cats Know How To Use The Litter Box? Cats are known for their independence and they are not really considered easy animals to train. They are smart, naturally clean, and harbor particular bathroom habits that make potty training relatively easy! Have you ever wondered why that is? Find out why cats are easy to train for litter box use in this blog post. Litter tracking is a huge problem, especially if you have multiple feline pets in your household. You need to make some changes to minimize litter scattering, but the good news is that these can be quite painless if you know exactly what you are doing. Read this short guide to pick up some useful tips and tricks and learn how to control litter tracking once and for all. 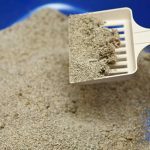 There are many potential reasons why your kitty might start refusing to use his or her litter box and many of them can be resolved without visiting the vet or animal behavioralist. 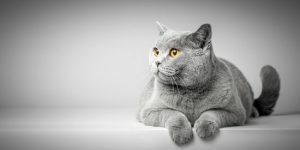 Read this short guide to learn more about feline expectations and habits when it comes to litter boxes and how to prevent partial or complete litter box avoidance. Our main goal is to make cats as happy and comfortable as possible. We analyze all the best litter boxes on the market and provide you with objective and verified shopping guidelines. Earnings Disclosure: TopLitterBoxes contains affiliate links. Every purchase made through those links earns us a commission, which is used to maintain and improve our operations. Start a conversation with us, tell us everything about your experiences with different litter boxes, and help other readers make the best possible decision for their cats.